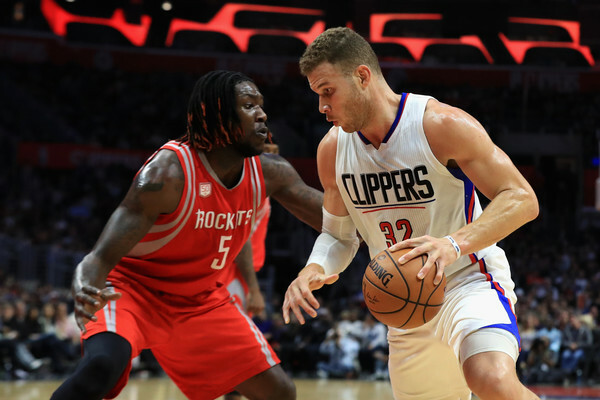 Blake Griffin is wholly against the NBA doing away with year-end awards. That, or he’s against Houston Rockets general manager Daryl Morey being against them. We thought James was the MVP, but there were a bunch of very good, deserving candidates. I didn’t like how a different MVP criteria was used this year, compared to the last 55 years, to fit more of a marketing slogan. People thought a different criteria for selecting the MVP this year was the way to go. . . . I don’t know if this is a good process. The ones that are decided by players or executives or media, they all have their strengths and weaknesses. I honestly don’t think there’s a good process. You could argue for eliminating the awards altogether. I don’t really see a good way to do it that doesn’t have major issues. I like clean answers. If there’s not going to be a set criteria and there’s going to be issues with how it’s structured, for me it might be better to not have it. To Morey’s credit, he doesn’t seem to be taking a definitive stance here. He also may have a point. He’s acknowledging the system is broken, which it is. There are erroneous, biased takes that factor into the voting process. People have agendas. That’s always been the case and an inherent risk of this process. But the players cannot be responsible for the voting, either. The results of their All-Star ballot proved not everyone would take it seriously. Eliminating awards is out of the question, though. They’re part of the NBA’s fabric—distinctions that shape discussion, help build legacies and, with the implementation of the awards show, drive league revenue. The best thing the NBA can do is come up with a set of criteria for each honor—rules and regulations that are more specific than what it already has in place. Even that’s open to some subjectivity, since whatever restrictions are placed on the award can be deemed arbitrary in the first place. But if the NBA wants uniformity in, say, how the MVP is chosen—Is it the most indispensable player? The best player from the best team? The player with the best season that year?—it’ll need to incorporate a more definitive set of guidelines. Until then, there is only anarchy (but not quite).